One of the very VERY first adult books I ever read was the Scions of Shannara by Terry Brooks. I rapidly fell in love with his work, and have read most of his books (and I can safely say that I had read all of the Shannara books as of about ten years ago). I actually got to meet him when he was on tour in 2009, which was AWESOME! But, then a funny thing happened. I realized as I picked up a new book from one of his series that I knew nothing about anyone in the series anymore. I wasn't picking up a book with familiar characters, characters that I had left at some cliffhanger, stuck in the midst of a plight that might have destroyed the world in the previous year since the last book was released. See, Shannara is a series of books that, I would argue, is about the world of Shannara more than it is about the characters of Shannara. Sure, there are Ohmsfords, Leahs, and Elessedil's throughout, but they aren't the same ones. In fact, most of the "series" of Shannara books are written generations apart from the others. This is not to say the writing is bad. Quite the opposite. I think Brooks is one of our generation's best sci/fi writers. He tells brilliant stories, and makes engaging characters that I want to read about. And that's my problem! When a series wraps up, and I have only gotten to spend a couple of short-ish books (or in some particularly terrible cases, just a single book!) following those characters, I want more. I don't want to meet the next Elessedil. I want to read more about the current one. 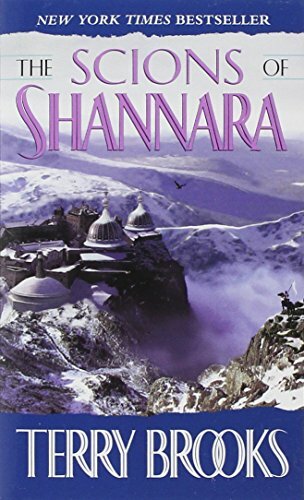 That original series of books I read, now called the Heritage of Shannara, was particularly tough for me to let go. Walker Boh, Wren Elessedil, Par and Col Ohmsford... to this day, I want to read more about those characters. I want a Wheel of Time level of material about that group of people! This brings me to the Shannara Chronicles, the show that MTV piloted this year. I was super sketchy on MTV of all places doing the show. Surprisingly? It was actually pretty good. IGN and IMDB both gave it pretty favorable reviews throughout. Like an 8, which is more than 'pretty good' these days. Sure, it's more of a YA show than the books are YA books... But that's to be expected on MTV. So yes, the love triangle is, perhaps, a bit more played up than it needed to be. They probably played up some of the technological things more than they needed to (both effects and things I shouldn't talk about becase spoilers). But that's alright. It was enjoyable. Enter my concern. Remember how I said I wanted to read more about the same characters? I'm kind of in the same place with the show. 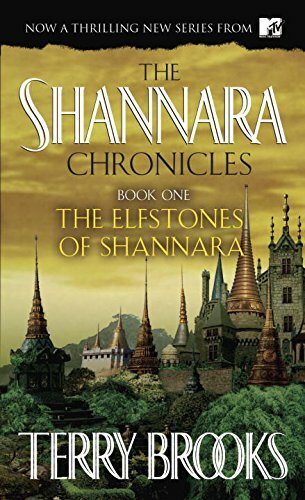 Season 1 explores the Elfstones of Shannara, which is the second book that Brooks wrote, part of the original trilogy. Guess what? Books 1 and 3 are about totally different people than Elfstones, and without giving spoilers, season 1 of the show effectively covers the content of book 2. So, where does that leave us with season 2? Sure, some tv shows swap casts (see True Detective) but I don't love the concept. I'm really interested to see where this goes. Will season 2 move into Legend of the Seeker territory and start making up entirely new material about the characters from the book? I sort of hope not. That worked great on Dexter. It didn't work so great most other places. Legend of the Seeker by the way, the TV show adaptation of Terry Goodkind's Seeker of Truth series, was... um... much less good. And, it totally bailed on the original storyline from the books (for no good reason). Rumor has it there is a season 2 of Shannara on the way. I'm really interested to see how they handle what comes next.